Beginning of June 2017, the Zurich Haskell Meetup Group will organize ZuriHac 2017, a three day Haskell Hackathon hosted at the HSR Hochschule für Technik Rapperswil. This is the sixth Haskell Hackathon organized by the Zurich Haskell Meetup Group and the first one which is hosted at the HSR. A fantastic venue located right at lake Zurich and providing space for 300 participants. The Haskell Hackathon is an international, grassroots collaborative coding festival whose goal is to expand the community and to build and improve Haskell libraries, tools, and infrastructure. This is a great opportunity to learn more about Haskell, meet fellow Haskellers in real life, find new contributors for your project, improve existing libraries and tools or even start new ones! This event is open to any experience level, from beginners to gurus. In fact, one of the goals is to bring beginners in contact with experts so that the former can get a quick start in the Haskell community. We will have a dedicated beginners' track, and there are going to be mentors on site whom you can directly approach during the whole event with any Haskell-related question you have. Prolific Haskell programmer, mathematician, lapsed graphics guru and demo scener, defense contractor, financial toolsmith, author of the widely-known lens library. Stephen is a Haskell developer, entrepreneur, and financial systems architect from Boston. His open source work is around numerical computing, compilers, security, and improving Haskell documentation. Author of the amazing What I Wish I Knew When Learning Haskell. Julie is a linguist and teacher who decided, on a whim, to learn Haskell. As her interest in lambdas and static typing grew, she decided to use her teaching expertise to write a Haskell book for beginners, and the result was Haskell Programming from First Principles. Currently she lives in Austin, Texas, where she homeschools her children, adopts too many animals, teaches Haskell at a local meetup, and is working on a new book, called The Joy of Haskell. Neil Mitchell has been a Haskell programmer since his PhD at York University, where he worked on making functional programs shorter, faster and safer. Since then he's worked in industry, taking the lessons of functional programming and applying them in finance. Neil is the author of numerous open-source Haskell packages including Hlint (which makes suggestions on how to improve your Haskell code), Hoogle (which searches for functions by both name and type signature) and Shake (a build system, being used for the next iteration of the GHC build system). Simon Thompson is Professor of Logic and Computation in the School of Computing at the University of Kent. His main research interests are in functional programming, most recently in designing tools to help people to write and test programs more effectively. One example of such a tool is the Haskell Refactorer. He is also the author of introductory texts on Haskell, Erlang and Miranda, as well as Type Theory and Functional Programming. All talks and keynotes take place in the aula (building 4). Lunch is served in the mensa (building 4). Pizza and BBQ will be consumed outside (in front of building 1). Lunch coupons are sold during registration. A coupon costs CHF 30 and includes lunch for three days. Vegetarian options are available during every lunch. Of course, you are always free to go to nearby restaurants and/or supermarkets, like the past years. On Friday evening, a mobile pizzeria will visit the venue. Pizzas will cost around CHF 15. On Saturday evening, there is a bring-your-own meat BBQ. Meat (or vegetarian/vegan alternatives) can be obtained from nearby supermarkets. We will provide plates, ketchup and mustard, and a seed round of a hundred sausages. In between the talks you can join one of these projects and help the maintainers out with bug fixes or new features. We have plenty of space available in 10 separate rooms where you can team up with your peers and work on your favourite project. To submit your project, please open a pull request. ASCII roguelike game and LambdaHack game engine. Regarding sdl2-ttf, merge the two sets of Haskell bindings for the SDL2 True Type font library. Haskell-Serbia is a Serbian haskell user group website. It is written in Yesod and has basic functionality for managing users and creating tutorials. haskell.do is a Haskell code editor, centered around interactive development. Its main goal is to help data science tasks be easy in Haskell, as inline plotting and fast development iterations. opencv is a Haskell library providing a binding to the OpenCV-3.x C++ library. It binds directly with the C++ API using the inline-c Haskell library. Aelve Guide is a wiki for all Haskell-related things. It provides package comparisons/recommendations, code examples and usage notes; it also has pages on Haskell tools, papers, books, and so on. Blast is a distributed computing library inspired by Apache Spark. The current implementation provides local thread and CloudHaskell backends.The next step is to develop a set tools to easily deploy Blast on a cluster. Intermediate Haskell is a book that aims to fill the gap between reading LYAH and research papers. It covers topics one usually reads about in blog posts and wiki pages. Nomyx is a game where you can change the rules of the game itself, while playing it! In fact, changing the rules is the goal of the game. Qua-kit is a web platform for collaborative analysis and manipulation of simple 3D urban geometry. The website provides means to set up urban design exercises, show demos, and share proposals. We use yesod, GHCJS, and WebGL. Haskell Indexer generates kythe.io code crossreference data, which can then be used to browse huge codebases (similar to the former Google Code Search). An AI for the programmer MMO RTS sandbox game Screeps. Some basic GHCJS bindings already work, but are still quite rudimentary. Open, evolvable, consistent and efficient distributed systems (with an awful lot of Haskell code to hack, guaranteed fun for beginners and experts alike or your money back). I want to test writing a K8s controller in Haskell and compare the experience with Go. Bonus: Try to use Quickcheck to test K8s code. Work on improving basic build tools and infrastructure: cabal-install, Cabal and Hackage. Caledon is a higher order dependently typed logic programing language. Encoding pretty cellular automata in Haskell. Building parts of Stackage LTS in Fedora Copr. Modern Haskell prelude with batteries. Network and network protocols for Haskell Foundation. Implement IDE features which help Haskell developers to be more efficient. Document converter (from and to markdown, HTML, LaTeX, docx, ePUB and many more). Shared cache for build artifacts specific to iOS/MacOS/tvOS/watchOS development. Run Haskell analytics apps on Apache Spark. Spock is a lightweight Haskell web framework inspired by Ruby's Sinatra. We want to make the event accessible to Haskellers at all levels, which is why we will have dedicated mentors, two codelab projects and beginner-level Haskell exercises. You can identify mentors from the black Zurihac shirt. They welcome any questions you may have, so please grab them if you have any issues or questions. The memegen codelab is available on GitHub. It guides you step by step through the implementation of a memegen server in Haskell. Its intended audience are people that want to learn more about writing web application servers in Haskell. The webwatch codelab introduces you to client-side HTTP programming with a command-line webpage watcher utility that watches a webpage for links with a certain text and will send a Slack message when one is found. The beginner exercises are for you who is just starting out with Haskell and are interested in learning the fundamentals. 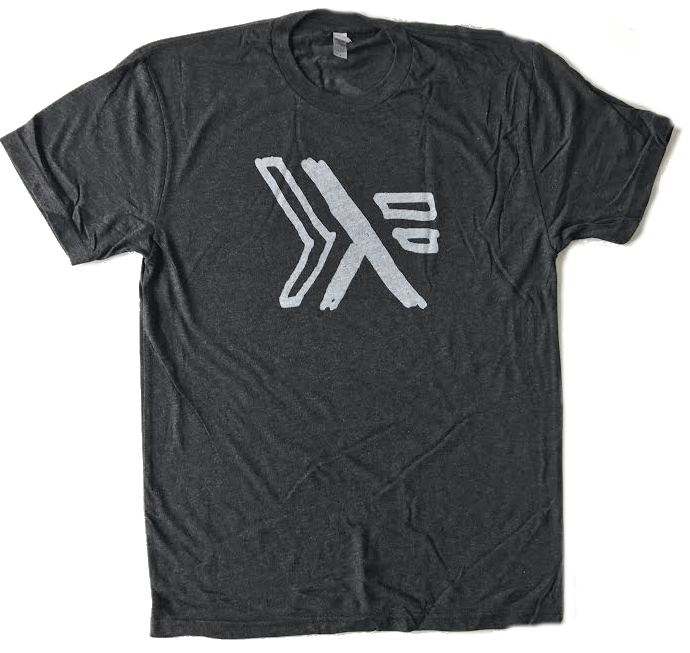 For reading material to supplement the exercises we recommend Learn you a Haskell. This year the hackathon takes place at the HSR Hochschule für Technik Rapperswil. The location is about 40 minutes outside of the Zurich city. We'll have plenty of space available to us: One large auditorium with enough seats for all the participants, 10 separate rooms for up to 28 people each, and a large open space. The venue is located right next to the lake, and weather is predicted to be superb (25°C, 77℉), so feel free to bring your swimming gear. You can take the S7 or S15 to get from the Zurich main station to Rapperswil. These trains run regularly in 30 minute and 60 minute intervals, respectively. If you arrive at the Zurich airport, first take the train to the Zurich main station and then continue with S7 or S15. Trains from the airport towards the city run every few minutes. Tickets: If you stay in Zurich city, get a day pass for all zones. It's good for all public transportation around Zurich, up to Rapperswil. A one-way ticket costs 17.20CHF, the day pass 34.40CHF. If you want to stay closer to the venue and save on transportation, please see the section further below with accomodation suggestions around Rapperswil. See this map for more information on accomodation, grocery stores, and other useful places. If you have any questions before the event, please reach out to Jasper Van der Jeugt or Simon Meier. Before the event, and in particular during the event, you can find us and other participants at Zurihac Slack or on the #zurihac channel on freenode (open in your IRC client. In addition, feel free to post on Twitter and Google+ using the hashtag #ZuriHac2017. Each participant will retain ownership of any and all intellectual and industrial property rights to his or her work created or used during the Hackathon.